Shrove Tuesday occurs the first Tuesday before Ash Wednesday, usually February 2 or March 9. It officially ends the season of Epiphany and is the vigil for the starting of Lent. Traditionally viewed as a day of repentance, Shrove Tuesday has become the last day for celebration and feasting before the period of fasting required during the Lenten season. The name “Shrove Tuesday” is derived from the word “shrive”, which means to confess and receive absolution. The name denotes a period of cleansing, wherein a person brings their lusts and appetites under subjection through abstention and self-sacrifice. The concept behind this practice is found in 1 Corinthians 9:27, where the Apostle Paul states: “I buffet my body and make it my slave…” Ironically, Shrove Tuesday has evolved into a day of frivolity and indulgence, during which people participate in as much pleasure and self-gratification as they can before Lent begins. 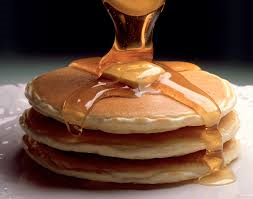 Come out and enjoy a family pancake dinner and activities, 5:30 – 7:00 pm. Volunteers are required for set up and clean up. Please sign up both your attendance and how you can help.